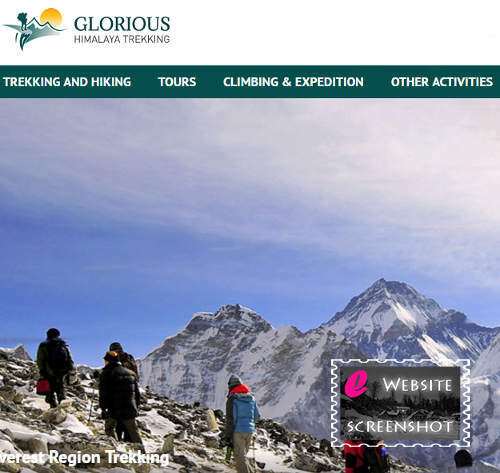 Glorious Himalaya Trekking is a renowned adventure holiday’s local trekking and tour agency based in Kathmandu, Nepal which helps you explores the natural, historical and cultural beauty of Nepal. With more than decade long experience of many successful hiking and expeditions across Nepal and Tibet, we help you have trekking and adventurous walk under the lap of great Himalayas. We deal in trekking, peak climbing, adventurous sports, sightseeing, mountain flight, jungle safari and also Tibet tour. On the other hand, we can provide you among the best services for the world famous treks like Everest Base Camp and Annapurna Circuit as well as treks to comparatively unknown locations.